So for years I’ve always thought that “Old Pecker” was the strongest beer that I would consume and enjoy. But recently, at a family gathering, I realized that Fuller’s ESB is a stronger beer and I have no problems banging those bad boys down. As it turns out Fuller’s ESB on tap actually has an ABV of 5.5% so when you buy this in the pub it is still lower than Old Pecker! Also, Theakston’s changed the ABV in 2010 from 5.7 to 5.6%. 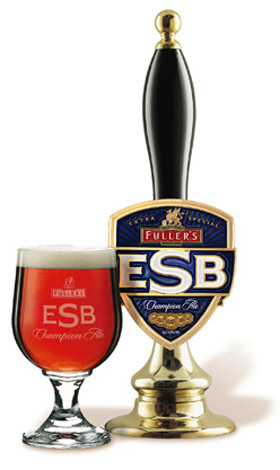 Either way both are great beers, but Fuller’s ESB is still my favorite.